All of our favourite local stars will be sharing the decks throughout one night. Expect anything, but mostly sounds on the rather housier side of the trax spectrum. 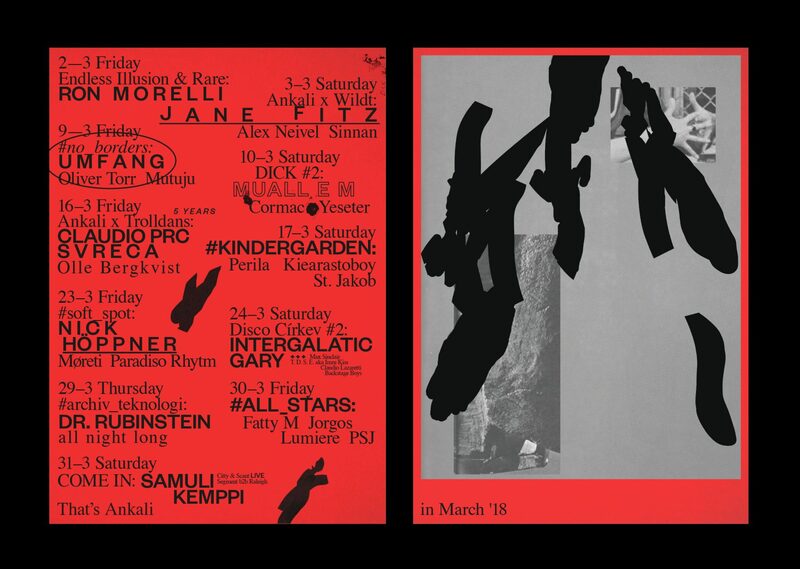 Along with Dj Schwa, Fatty M and Lumiere run one of the biggest local warehouse rave series Komiks and have hosted Fort Romeau, Roman Flügel, Kink, San Proper or Palms Trax (and the list could go on). As djs, both have been active on the scene for years and due to their impeccable taste and versatility are among the busiest djs out there. Also on the bill is Jorgos, a graphic designer by day / a dj by night. Chances are that any time you go out you’ll catch him behind the decks spinning house at one of the many parties he’s been involved with – be it Zeitgeist in Vlkova 26 or Gig at 2.patro. Wrapping up the bill is an Ankali resident ‘raised up’ within the Brno house scene – PSJ, who made a name for himself in a truly honest way – by sharing only the finest house and disco.